At Danplanex A/S we understand the importance of processing your personal data securely and we prioritise data security and confidentiality high.  Here you can read how we process the data we possess in your contact with Danplanex A/S and the measures taken to process and protect your data in a secure manner. Cookies are useful because they allow a website to recognise the consumer’s device. They also generally help to improve the user experience. Session cookies are cookies that are automatically deleted when the browser is closed. Persistent cookies remain on your device after the browser is closed. If you want to delete cookies, most websites will probably cease to function, and in that way, the Internet will be more or less useless. In many cases, you will also delete saved passwords and other functions that only help to improve the user experience. If you use a computer with a newer browser, you can also delete your cookies using the shortcut CTRL + SHIFT + Delete. This website wants to use Google Analytics, which can show us the visitor statistics by recording which pages on the website that you visit. By allowing this cookie, you are helping us to improve the site and your user experience. Personal data is all kinds of data that to a greater or lesser extent is attributable to you. When you use our website, we collect and process a variety of data. Personal data includes, for example, data such as first, middle and last name, gender, age, address, e-mail address. Personal data also includes data such as behaviour, purchase history, financial information, etc., which is used in the maintenance of the customer and supplier relationship between customers and Danplanex A/S.  You can access www.danplanex.dk without informing us of your personal data. Your personal data is used in relation to the purchase, sale and delivery of products and services. Furthermore, your personal data will be used to enhance and personalise your experience with Danplanex A/S, through personal recommendations based on your previous purchases. Data may also be used for general marketing and the improvement of this. Your data is stored for the time allowed by law. We will delete your data from our systems when there is no longer a legitimate purpose with the storage of data or time limit expires for storage according to the law. The period depends on the nature of the data, whether the data was given under the contract or consent and the background for storage. As this is broad, it is not possible to specify a general timeframe for when data is deleted. For an active customer relationship, we store your data for as long as necessary so that we can accommodate your needs. For a discontinued relationship, we store your data for up to two years, depending on the type of data involved. Transactional data is retained for five years, see the Danish Bookkeeping Act. You can always ask for access to or deletion of your data. Please see the contact details at the bottom of the page. We use a number of third parties for storage and processing of data. These only process data on our behalf and may not use it for their own purposes, and they enter into a data processing agreement. Disclosure of personal data such as name and e-mail, etc., will only happen if you consent to it. We only use data processors in the EU that can provide your data with adequate protection and do not transfer data to third-country suppliers. What happens when there is a security breach? We take data security very seriously and have internal procedures and policies in place to ensure that your personal data remains secure. Your personal data can only be accessed by a limited number of employees with rights to such data. Additionally, your data is stored on a secured network and encrypted servers. Should a data leak still occur, a number of measures will be implemented to secure our customers in the best possible way. This includes, among other things, identifying the extent of the damage, notification to affected customers and users, reporting it to the Danish Data Protection Agency, and measures to try to contain the extent of the damage. If we suspect a data leak from Danplanex A/S or our external partners, all concerned will be informed within 72 hours. You have the right to be informed of what personal data is processed about you. You may at any time object to the use of data. You can also withdraw your consent to having data about you processed. If the data processed about you is incorrect, you have the right that it is amended or deleted. Please address any enquiries about this to danplanex@danplanex.dk.